What happens when you are passionately speaking to someone about something…but it’s to the wrong person? 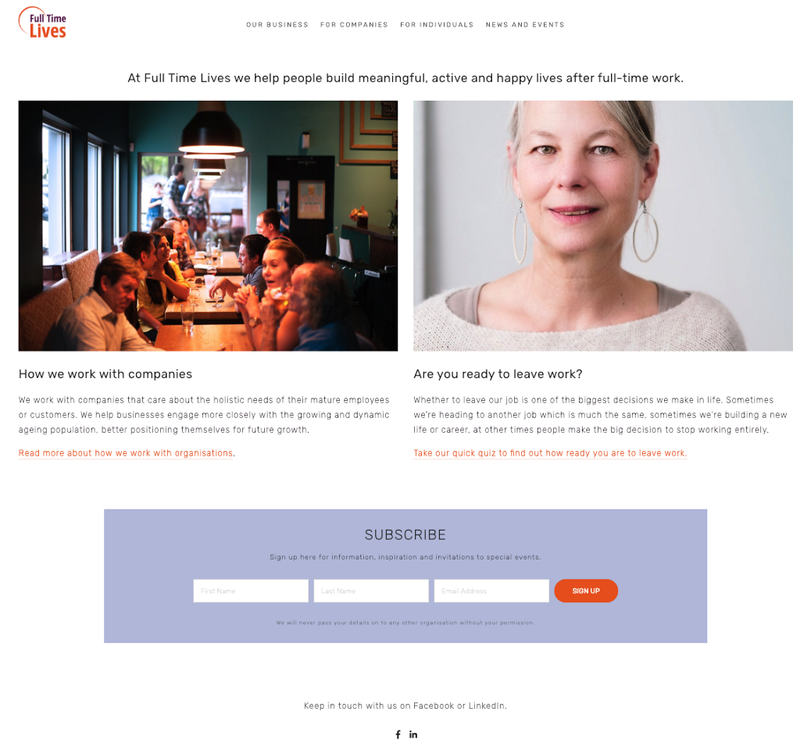 This is the problem our team of 3 UX’ers were faced with to solve using the Waterfall method for Full Time Lives, an organisation that aims to help people find purpose and community in a stage of transition from full-time work into the next phase of their life. 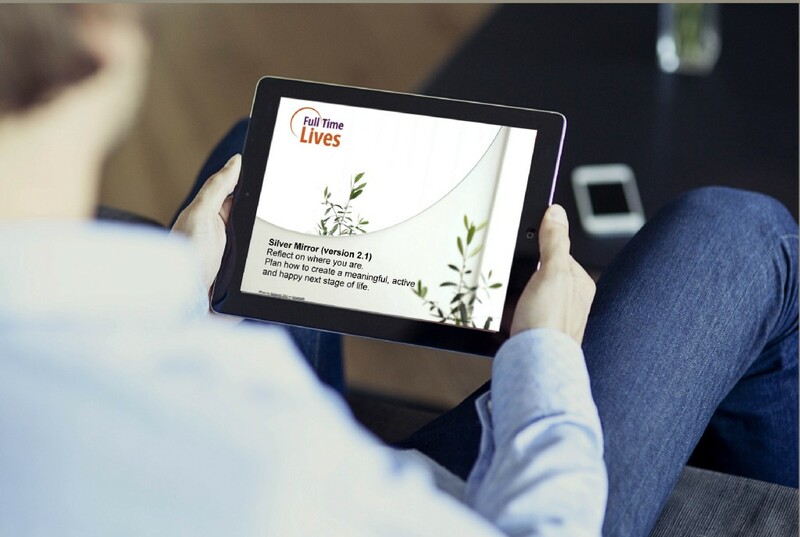 Full Time Lives had an educational e-workbook that they believed would help their target market identify areas to improve on in their life, in preparation for the transition out of full-time work. An accompanying quiz that users take prior to purchasing the e-workbook, helps them determine these areas. The organisation of information on their (Information Architecture (IA)) website was the reason why users weren’t able to find the e-book. However, the more we learnt about the business, we were building a stronger assumption that the core problem wasn’t the website at all. The e-book’s lack of exposure seemed simply, to be a marketing problem — people simply didn’t seem to know about the product in the first place, so how are they supposed to find it? — which was beyond the scope of UX. If it was a marketing problem, how do we approach this project? reworking the IA, body of content of the website and the post-quiz email that we felt required to assess to understand the full user journey from taking the quiz to the e-workbook website page. Informing the client about our approach, we managed their expectations about the deliverables to be expected, and they were onboard with our strategy. Trialling the product and understanding the digital ecosystem (website and e-communication tools i.e. post-quiz emails) and potential user flows. Matching the above user flows with the personas provided by client. The downfall of analysing pre-existing research is that there are always gaps, as research wasn’t done with the same objectives as for our specific project. Original Persona: not too tech-savvy and not comfortable connected on social networks; in real need of help transitioning from full-time work into a new phase of life, and general community support. New Persona: tech-savvy, were very aware of their future and planning diligently for transition; required personalisation of information specific to their personal situation if engaging with self-help content. Our problem was a UX problem after all! A User Experience problem, where the ‘USER PERSONA’ was incorrect! e-workbook page: our project’s main focus. Even when users found it, a very small percentage carried on the journey to actually make the client’s desired outcome: a purchase. IS THIS A PRODUCT NEEDED BY THEIR PERSONA? Our client had an assumption that the quiz itself was so helpful on its own, that people didn’t need the e-workbook; they’ve already identified what they need to work on through the quiz alone — and no motivation remains to purchase the book. However, after analysing the data and discovering another persona, our assumption was that the value of the e-workbook was not perceived highly enough by those who felt they were well prepared for their life transitions. Can the users find/locate the product on the FTL website with ease? How motivated are the users to buy and download the product, and why? we made an executive decision to redesign the homepage and the user flow to the e-workbook page, targeted to the new persona. The navigation IA, the body content of the homepage, e-workbook page and the quiz email copy were overhauled. The main (parent) top bar navigation were split to address two completely different target audiences. 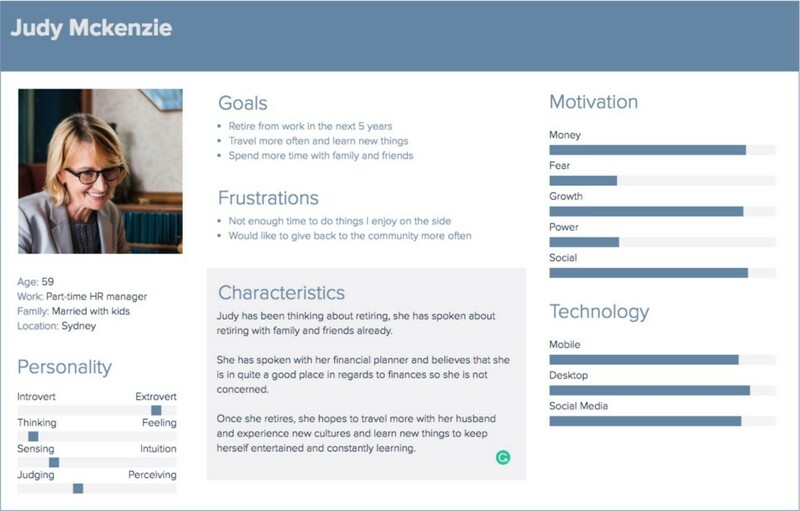 Taking our insight from our new persona, who wanted to be addressed “personally”, we removed the other target audience section completely in the prototype. The user was presented with information relevant to only them when they visit the FTL website. e-workbook page. This led to building our low fidelity prototype in Axure, to test our ideal user flow from FTL homepage to the e-workbook page, all the way through to the purchase and download page. 2. The content of the homepage didn’t clearly communicate the objective of the business and what the website was about. In order to establish understanding and right expectations of the website, the content had to be reconsidered and rewritten. Active language replaced the currently used passive language to communicate the e-workbook’s higher perceived value for people in ALL stages of life, not just those “in need of specific help”. 3. The e-workbook page needed to clearly communicate how it works and its value proposition — which we felt wasn’t happening with the current page. 4. The quiz email was incredibly long, and the user faced too many competing actions to complete, that we saw as a barrier to continue on to the next stage of the purchase e-workbook journey. All 4 users we conducted usability testing with, interestingly enough, were the persona that we uncovered during the analysis phase of our process. These users were tech savvy, financially secure and sufficiently supported by friends and family: they navigated through our prototype with extreme ease, and positively validated our first objective: Can users find/locate the product on the FTL website with ease? While it was validated, it was more difficult to validate the second objective: How motivated are the users to buy and download the product? e-workbook and motivation to purchase such a product depended on a variety of factors. too long. As assumed, the copy was not engaging and long-winded. Users switched off at the amount of text that was in front of them. 3. Running on from insight 2, users thought that a sensitive topic such as potential job loss/instability/change/retirement, needed a personal approach. All communications should address the user by their names (as the system would have their personal data at this point). The post-quiz takers who clicked on their email links were taken to the standard e-workbook page, where they were presented with multiple choices of call-to-action buttons, rather than a separate landing page for post-quiz takers. i.e) They were confused about why they still had a choice to “Take Quiz” or “Buy Workbook”, when they had already taken the quiz and came through to the page to find out more or to make the purchase. This had a strong link back to a “personalised” experience to each user; users wanted the website to recognise which stage of the user journey they were on, and be given only the relevant choices for next steps. Users didn’t like the orange colour! Users felt that the way the e-workbook was presented in the website’s “shop” was unappealing and not enticing (it was just a few of the pages of the pdf), and they would more likely respond to the e-workbook presented on an iPad (in-situ) so they could picture how they would interact with it. A lot of restraints on the website came from the business using a stock template, which they found difficult to build to the way we had ideated on our prototype. Custom-built website — given the users’ strong views on the importance of personalised communication between FTL and users, it is more the reason to invest into a custom website where the practical restraints they were facing wouldn’t be the reason behind poor user experience and communication accessing FTL’s products and services. Clear concise copywriting for content — this business deals with sensitive issues and has a strong educational focus for its target persona, therefore strong, clear and direct copy is vital. Content cannot be too long as the target demographic lose focus and don’t like to be in front of screens for prolonged periods of time. e-workbook’s potential influence on their life. UI and general brand’s look & feel — the users’ comments on how the product was displayed applies to the overall website and branding; FTL needs to focus on creating a coherent and consistent visual language that is attractive and that resonates with their target audience. Research and analysis is key — even though we went into the project with research that was provided to us by client and not done ourselves, what was already conducted still had a wealth of insights that the clients had not picked up on before. A fresh set of eyes and perspective can open up a whole new can of worms that can be investigated into further. Knowing your user is incredibly important — it’s like any relationship; you need to know who you’re talking to to get them to listen, and vice versa. That’s why we do the research, isn’t it? We need to talk to them in a way they want to be spoken to, and in the way they understand, to successfully see them listen and respond to what we are doing and saying. If in greyscale, it all needs to be in greyscale — our intent on using the brand’s orange colour as accents worked to our disadvantage because it really distracted our users from the content. 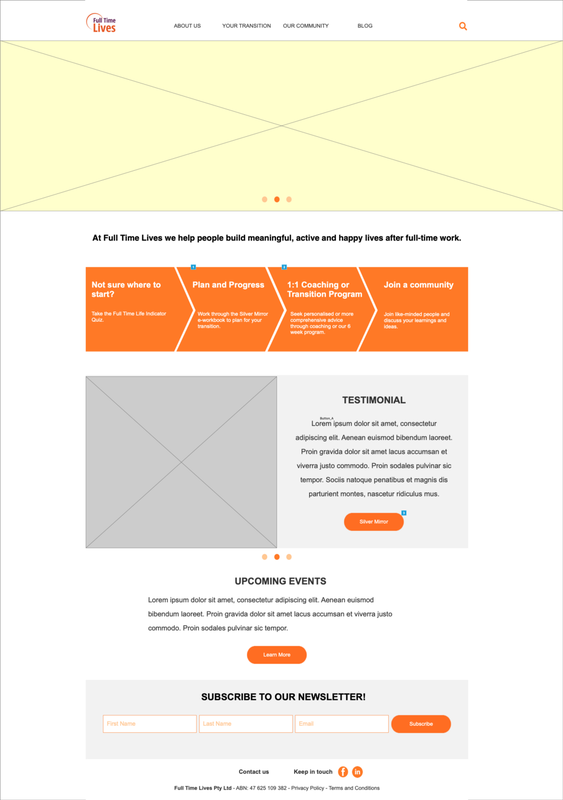 They constantly pointed out that they didn’t like the orange, even though we mentioned multiple times that it wasn’t the final outcome, or that it was to help differentiate certain areas of the website. They didn’t like it, and wouldn’t stop saying so. The level of fidelity needs to be consistent right across the prototype to avoid the situation we faced. Content is the beginning of UX — no amount of research around beautiful, functional buttons and seamless transitions between website pages is going to get users to use our website, if the content is not of interest to our user. It was strongly evident in our case, where content was the biggest turn off for the user due to its perceived irrelevance to them, and apparent lengthy-ness. Our users were more interested in how the content relates to them on a personal level than anything else. Only when we know what content to provide who, do we then know where, when and how to place it, orchestrating other design considerations (UI, IA etc) to enhance the content in the best, intuitive and beautiful way possible. The Waterfall-method project with Full Time Lives was a really interesting one. 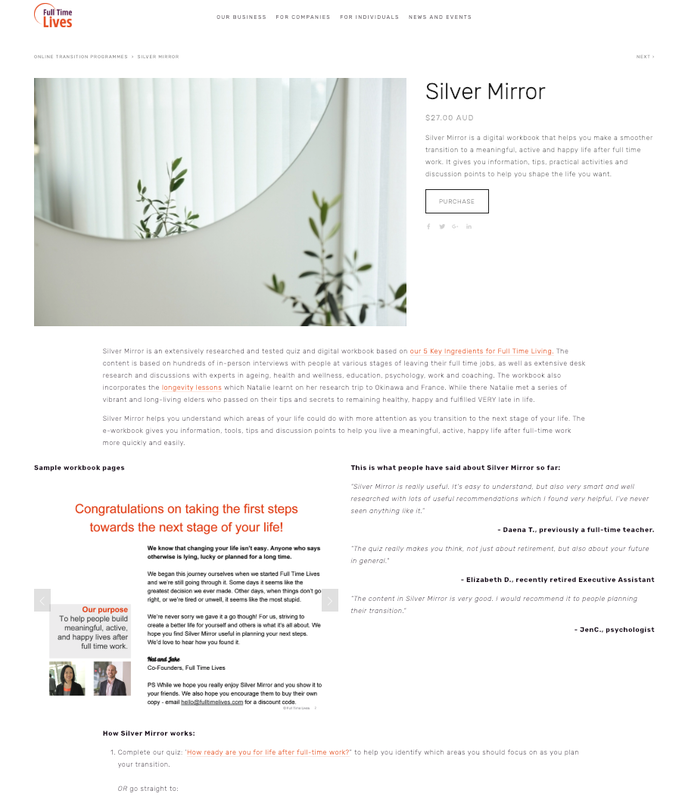 It was one that really motivated me to deliver something of real value, because of the client’s passion and their mission: to help the increasingly ageing population in Australia face change that the current society don’t talk about or face openly. While it was daunting to think that our project was something way beyond our control and ability, I learnt how valuable the UX process was, even when it was just a slice out of FTL’s huge ‘problem’ pie. The project really opened my eyes to the power of research and analysis, and my heart grows for this area of the process. Coming from a marketing background, content has always been a passionate area of mine, but this project made me realise how crucial it is to think about the role content plays within the UX process because I don’t believe it is considered this way too often; I know it will be a cornerstone for my processes going forward. 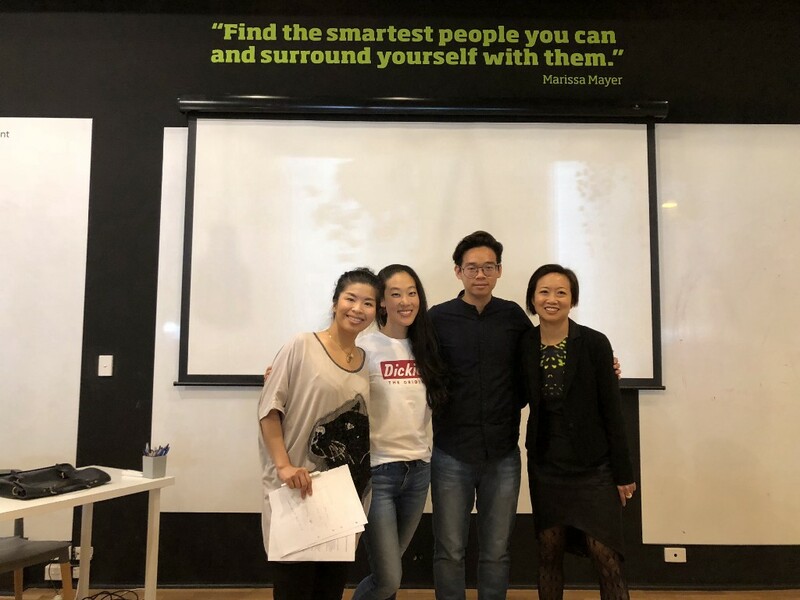 A big thank you to my amazing UX’ers, Jimmy and Rina, for hustling alongside me, digging deep into research, insights and having a lot of fun along the way. And to Full Time Lives — a business with an amazing cause — for the opportunity, for sharing your passion, and for motivating us with your entrepreneurial spirit and vision; we were truly moved and highly invested in your work. I primarily worked on restructuring and rewriting content to test in user testing sessions and analysing data. We collaboratively ideated and wireframed our prototypes as a team. Speak to the right people: a case study was originally published in UX Collective on Medium, where people are continuing the conversation by highlighting and responding to this story.